Epilepsy is a neurological disorder that causes frequent seizures. Some neurologists believe that epilepsy is not just one disorder, but a collection of similar brain disorders. The primary identifying characteristic of epilepsy is seizures. Seizures may include shaking, twitching, staring, loss of consciousness, seeing an aura that is not there, or smelling a strange odor. While many conditions can cause seizures and as much as 10% of the general population will have at least one seizure, epilepsy is characterized by frequent seizures that are not caused by another condition, medication, or a nutritional deficiency. 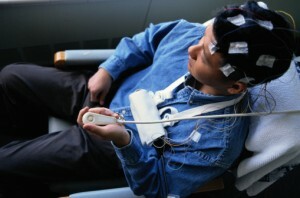 Oftentimes a brain scan can isolate the area of the brain that is the source of the seizure. Seizures typically cause a flurry of abnormal activity in the brain. Epilepsy is partially influenced by genetic factors and seems to run in families. However, illnesses and brain injuries such as stroke or a traumatic brain injury can also cause epileptic seizures. Abnormal brain development, brain infections, and some medications can also cause seizures or lead to epilepsy. Epilepsy can be challenging to treat, and treatment focuses on managing symptoms rather than curing the disease. Anticonvulsant drugs can be effective for some people with epilepsy, but results are unpredictable and people may need to try several medications and dosages before settling on the right treatment. When epilepsy does not respond to medication, brain surgery to remove abnormal brain cells can be effective. In recent years, the use of a vagus nerve stimulator (VNS), which is implanted surgically, can help reduce the number of seizures. A VNS sends regular electrical impulses to the vagus nerve, and this can help reduce the occurrence of abnormal electrical activity in the brain.